Watch Paste's video review of this album here. 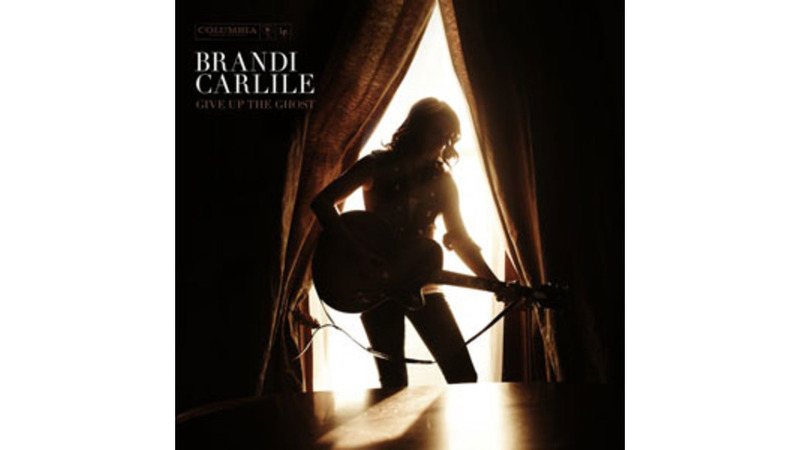 Brandi Carlile is a woman out of time. She’s no revivalist—four years into her recording career, her albums owe as much to early Radiohead as they do Johnny Cash. But she seems like an artist who, at any point in the past 50 years, could’ve come busting out of Ravensdale, Wash., to bowl the world over like she did in 2005 with her self-titled debut. The album was a fresh 10-song collection of rootsy, straightforward acoustic rock, shot through with wide-eyed, weary wonder. Bit with that voice—warm and bell-clear, skipping up and down her register like smooth, flat stones tossed across a still lake—she would’ve been right at home on the Opry stage, crooning tortured ballads alongside Patsy and Loretta, or maybe harmonizing with Gram Parsons in some alternate Emmylou-less universe. But by some stroke of fate, she landed in these times instead. It wasn’t until 2007’s The Story—her T-Bone Burnett-produced sophomore release—that we realized even half of what we’d been dealt. Nearly a minute into the second song (the title track and lead single), something about her shifted from promise to absolute certainty as Carlile let loose a hurricane of lung power: “Swam all across the ocean blue / Crossed all the lines and I broke all the rules,” she belted, her voice suddenly ripping loose and flailing into the wind, rearranging coastlines, flooding streets. “And baby, I broke them all for you." Swaddled in instant-gravitas piano lines and tidy electric-guitar solos, the lyrics might seem hokey if they didn’t feel, at once, so broadly applicable and completely personal. Carlile is too busy untangling the snarls of everyday life and love to be bothered with irony or postmodern cutesiness. For her, love is the axis around which everything turns, whether coming or going, long-lost or firmly rooted. It’s not that Carlile is a romantic—she just faces the world with a probing grace and gratefulness, despite all the snags. “You might not miss this, but I will,” she sings on resolute fifth track “I Will,” a genderless breakup hymn that could just as easily send off a soured friendship as a failed love affair. Despite her early country influences and occasional boot-scoot swagger, Carlile is essentially a writer of pop songs—in this regard, her tendency toward lyrical generality works quite well, making several tracks feel radio-ready. (Production help from Rick Rubin doesn’t hurt, either.) But when Carlile gets personal, watch out. The album’s only named character is the title subject of “Caroline”—a jaunty barroom duet with Elton John—that transitions abruptly into the heartrending “That Year,” written about the suicide of a high-school friend. Part long-delayed eulogy, part attempt at personal absolution, it’s searingly, undeniably true—certainly the most beautifully wrought song on the album, and among the finest of Carlile’s young career. Writhing and burning and staring at life straight down the barrel, Give Up the Ghost is exactly the album Carlile needed to make at this moment. The production is thick but elegant, applied with full knowledge that the songs could exist beautifully in a sparse acoustic-strummed daze, but that they deserve more than that. The best part about Give Up The Ghost? She will probably make an even better album one day. Carlile is hardly perfect, but she’s good—a really solid, deep-down kind of good, and not just in terms of her musical ability or quality of output, but on a basic moral level, too. She cares. She hurts. She wants to do right. And she has the heart, guts, skill and wherewithal to make crushing, beautiful art about that struggle. And when you’re good like she is, it doesn’t matter when you come around. There’s a twinge of predestination to it, an air of certainty that supersedes all buzz and hype—it’s a moot point, an understood fact. Brandi Carlile is right here, right now, and she’s ours.